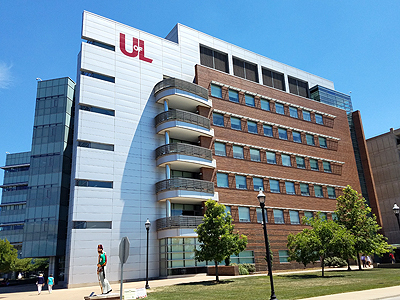 The University of Louisville Department of Medicine comprises approximately 200 full-time faculty with many of those holding a Ph.D. degree. Research is a major area of focus for our faculty, as demonstrated by the fact that, almost two-thirds of them participate in clinical and/or basic investigation. The Department has experienced a dramatic increase in the level of national competitive research funding over the past 20 years; this upward trajectory has not abated and our faculty continue to be successful in attracting national grants. The Department's research strengths include its ability to attract high-caliber investigators who are pioneering discoveries at our institution and sharing their knowledge with the community. Among our many outstanding faculty, we have 15 who currently occupy endowed chairs spread amongst our divisions. Several members of our faculty have also received the title of University Scholar or Distinguished University Scholar which recognizes their achievement of national recognition and their ability to attract substantial externally funded research support and to regularly disseminate their work through scholarly publications. The Department of Medicine occupies state-of-the art space in Baxter Buildings I and II and in the Clinical Translational Research Building, which opened in October 2009, with additional space in the Medical-Dental Research Building. The faculty realize that our future lies in the hands of our students, and therefore research is a major focus in all of our training programs. Our faculty provide mentorships to assist students to achieve their academic goals and focus on their research interests. As an example of this involvement, our faculty participate in Research!Louisville, an annual event that features workshops and presentations which enables students and mentors to participate in a judged poster presentation. Duane Bolanowski is the Research Coordinator for the Department of Medicine and assists the department Chair in reviewing grants. He also provides support for faculty in grant preparation. His office is located on the third floor of the Ambulatory Care Building, and Duane can be reached at 502-852-4379.